Customise Your Snom VoIP Phone! So it’s not enough that Snom VoIP phones are now available in both standard black and ‘Snow Edition’ white. We’ve had numerous requests for Snom phones in every colour of the spectrum! For those of you who want to jazz up your Snom phones, you can customise it by designing your own ‘Snom Skin’. The German website Design Skins gives you the option to create your own skin for any of the Snom 3xx or 8xx series phones. Choose from different colours, images and patterns provided or even upload your own image! They easily peel off too, without leaving any residue or causing any damage to the phone. Let your creativity take over! Here it is. It’s what we’ve all been waiting for for some time now. Sure, it’s still infancy and yes, some features have not yet been implemented, but we proudly present the Snom community portal for the UK! Here is a link for you, Snom.co.uk Community Portal. Perhaps you have the urge to watch what fellow users of Snom phones are doing on their Snom screen? Who knows, you might. Anyway, we have a tool for that. Maybe you are rather tech-savvy and have a cool Snom 8xx series phone? Thought you might, so here’s another tool for generating the idle screen to use on such a phone! Any feedback, constructive criticism or whatever else? Please send to /dev/null just leave your comments below! The Grandstream BT200 provides a basic entry level, one line SIP phone for the Grandstream range of VoIP phones. The BT200 is easy to use and affordable. Importantly it’s also fully supported by ProVu’s provisioning systems for auto-configuration and device management. Therefore the BT200 is a great low cost solution but also suitable for large scale deployment. Features include: Built-in, full-duplex handsfree speakerphone, three-way conference bridging, 12 digit caller ID LCD screen, 2.5mm headset connection, voicemail and message waiting indicator. To celebrate the release of the Snom 870 Touch Screen Executive VoIP Phone, Tim ventured over to Germany for the Snom launch party and get a sneak peek before the rest of us mere mortals! While SIP(ing) on beer and wine, (sorry!) the guests at the party were treated to some entertainment by the Venusbrass band. The Snom 870’s have only been in stock for a matter of weeks but are already proving popular. The touch screen drag and drop feature to transfer calls is really great! AVM’s flagship product the Fritz!Box 7270 provides a great all in one VoIP solution. No other VoIP router of this class has so many business features. A Snom Wireless Headset Adaptor is needed to make your phone compatible with a wireless headset. We recommend and distribute the Jabra (GN Netcom) Wireless Headsets, GN9120 or GN9130. More details can be found on the Snom Wiki Page. ProVu are currently the only Snom distributor in the UK who are able to offer Snom Certified Training Courses, as Snom recognise our unrivalled technical expertise. After recently running a successful mini series of Snom Training Courses at our offices in Huddersfield, we’re packing up our bags and heading down south! The first session operating in the UK will be on Tuesday 10th November at University College London. We combine the launch of the UK Snom Training Centre with the arrival of the first touch screen VoIP phone by Snom. The London Training Day will be run using the latest and greatest Snom 870 Touch Screen Executive VoIP Phone. ProVu Snom Technical Guide – “101 Things You Didn’t Know a Snom Phone Can Do”. To ensure each delegate receives a high degree of personal tuition, entry is limited. We therefore recommend you book early to ensure a place is allocated to you. Reserve a place. More information, course feedback and training day agenda. ProVu launched their ManX PBX system at this years Call Centre Expo, Birmingham. The ManX system is aimed at existing call centre and PBX owners who want to add VoIP capability onto their existing phone systems. 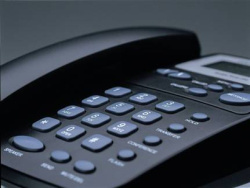 An existing system may generally work well, but now require VoIP capability, particularly to provide better business solutions, call statistics and wall boards for example. Many companies do not want to ditch their legacy systems as they have invested significant time and money in them. What they have been looking for is a method of adding VoIP capability onto their current system. The response to ManX at the show was tremendous, ProVu are now rolling out their ManX reseller program with a very significant demand already being seen. <%ThickBox(http://ron.provu.co.uk/~paul/pauls_screen.png|Snom360 Screenshot)%></div> <p>This is a good one for checking the common issue where a customer has turned on Do-Not-Disturb without realising it or just seeing what’s on the screen in general. I have also used it to demonstrate the phone in training sessions. This works on all Snom phones (including the 800 series!) with version 7 firmware and up. It’s a static image but you can keep hitting refresh in your browser to update the image. Last month we told you about Paul’s involvement in the filming of a security feature for the Channel Five programme The Gadget Show, reviewing the Siemens Gigaset HC450 Door Entry System. The Gadget Show HC450 review was aired on Monday 21st September on Channel Five, revealing their favourite five home security gadgets, putting the HC450 on the top of the podium in the number one spot! The review demonstrated all the great features of the Siemens Gigaset door entry system. They were particularly impressed with the HC450’s ability to allow users to check who is at the door while they are away from home. Even calling it “genius”. For those of you who missed it – Check it out on Five’s catch up website. A courier company called at our chairman’s house, where an HC450 is installed. When he answered the intercom from his mobile 200 miles away, he was able to arrange a new date for the parcel to be redelivered.